Collected by the First Survey in 1838 at Gull Prairie, Kalamazoo Co., and also in St. Joseph Co. (no stated locality); these seem very likely to have been native occurrences for this species. 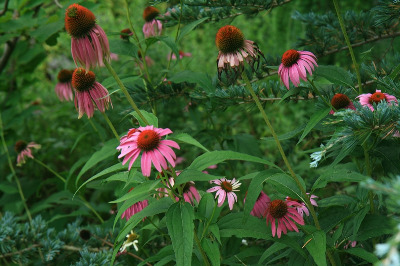 This is a showy plant, very popular in horticulture and, more recently in prairie restorations, despite its extremely limited occurrence as a native plant. All recent records are from along roadsides and fields and represent escapes from gardens or, more recently, prairie plantings. MICHIGAN FLORA ONLINE. A. A. Reznicek, E. G. Voss, & B. S. Walters. February 2011. University of Michigan. Web. 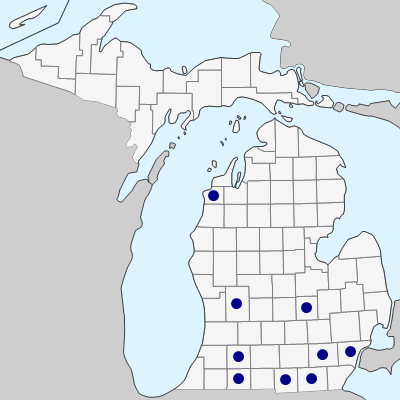 April 18, 2019. https://michiganflora.net/species.aspx?id=310.